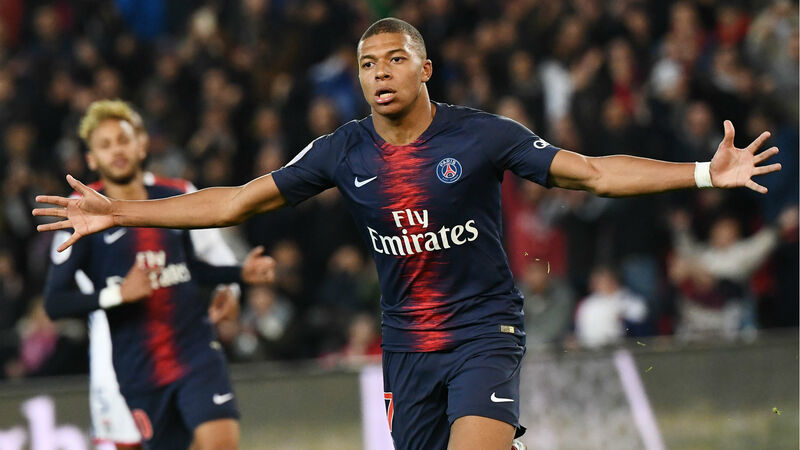 Kylian Mbappe deserves the Ballon d'Or and has talents rarely seen, according to Paris Saint-Germain team-mate Gianluigi Buffon. Mbappe, 19, helped PSG win a treble last season before playing a key role for France as they claimed the World Cup in Russia. The attacker has also made a fast start to this campaign, scoring 10 goals in just seven games in all competitions. Buffon, who arrived at PSG in July, said Mbappe had unique talents despite comparisons to the likes of Roberto Baggio, Alessandro Del Piero and Francesco Totti in his homeland. "Given his qualities, what he shows on the field, and how decisive he was during the World Cup, he deserves it, yes. I cannot say the opposite," the veteran goalkeeper told France 3. "If I have already seen players with such talent? In Italy, he is compared to Baggio, Del Piero and Totti. But he has an exceptional talent and technical qualities as I have rarely seen. "He's a phenomenon. And if he persists in wanting to be the best, if he remains enthusiastic and keeps his normal behaviour, he can last a very long time." Runaway Ligue 1 leaders PSG host Amiens on Saturday.